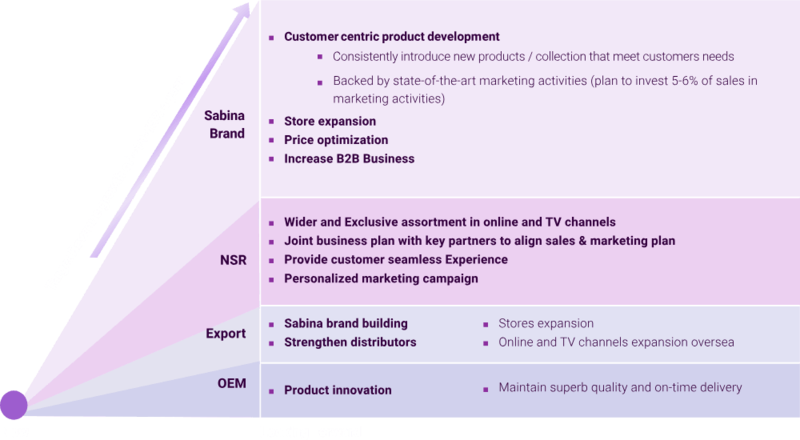 At the same time, the company has adjusted its business goals since 2007 by keep reducing the proportion of OEM products sales and proportion of Sabina brand sales in the country. Until the last year 2018, the proportion of OEM products sales is 9.24% and the proportion of Sabina brand sales is 90.34% of the total income according to the consolidated financial statements but the company still hold the maintaining proportion of OEM products policy to be in the level of not more than 10 - 20 percent of the production capacity. Keep yourself up to date with all the latest annoucement from the company.